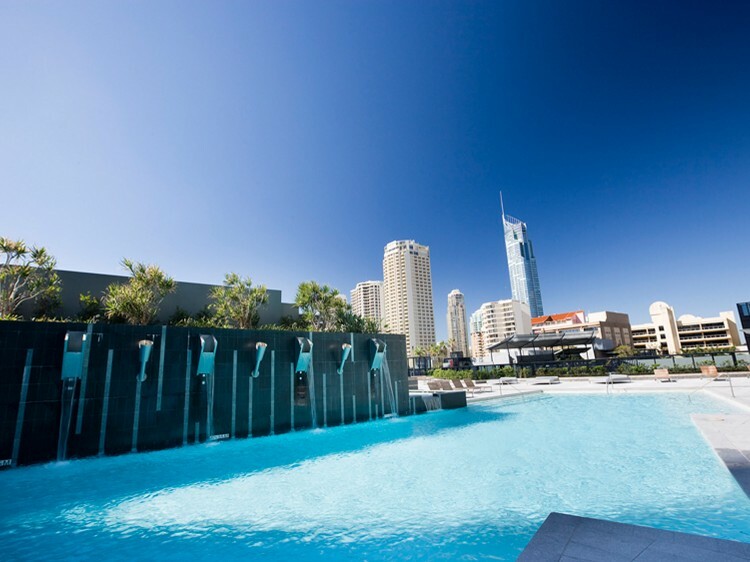 Centrally located within Surfers Paradise, just two minutes from Surfers Paradise Beach, Mantra Circle on Cavill combines the very best in Gold Coast beachside living with spectacular resort facilities. 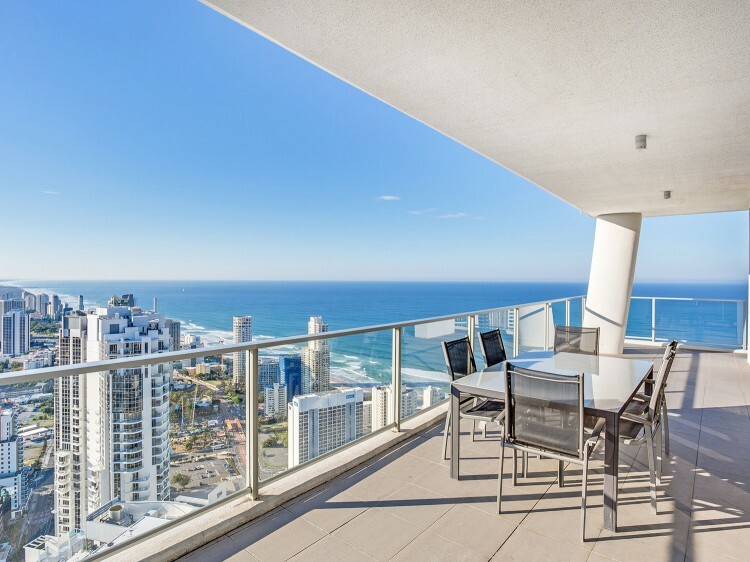 Comprising of two residential towers, Mantra Circle on Cavill boasts impressively spacious one, two and three bedroom Surfers Paradise apartments. Each accommodation type is stylishly appointed and taking centre stage in most are panoramic ocean or hinterland views. 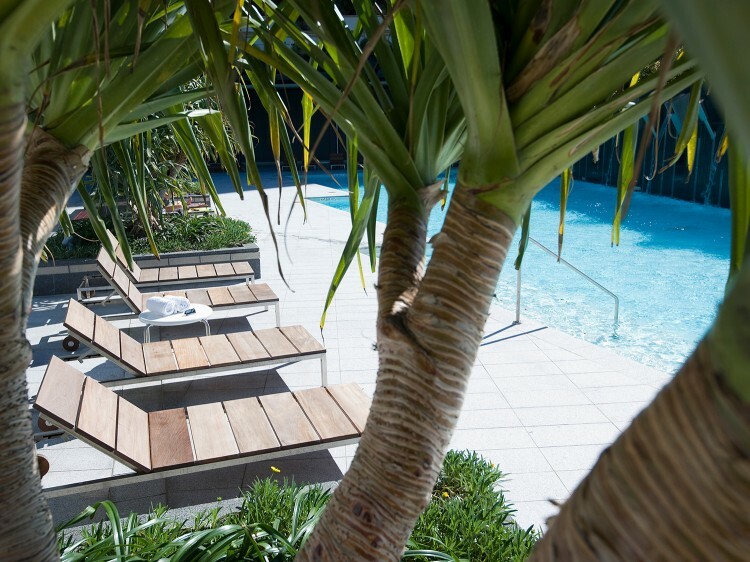 It's hard to beat this popular Gold Coast resort's facilities like 12 seater private theatrette, two lagoon style pools (one in each tower) and an indoor heated pool, fully equipped gymnasium and onsite secure parking. Let the kids amuse themselves in the games arcade while you cook up a storm on the terrace barbecues. Mantra Circle on Cavill will have you sitting above some of the best shopping on the Gold Coast. The shopping and leisure hub is brimming with boutique shops as well as some excellent dining choices. There’s all of this plus a Woolworth’s supermarket right downstairs! 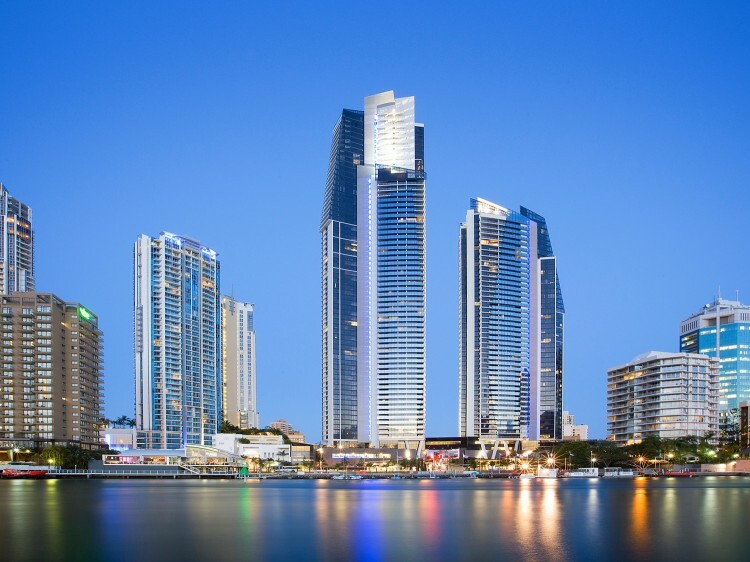 As part of our commitment to maintain the quality of Mantra Circle on Cavill we are very pleased to advise that the building will be repainted until mid June 2019. These works include abseiling and will necessitate the closure of common areas including the south tower lap pool which is required to be closed for a 16 week period. But please note the main and indoor pools remain open at all times.. However the resort will endeavour to minimise the impact on the access of facilities. Hours of work will be from 7:00am to 4:00pm Monday to Saturday. Mantra Circle on Cavill has a No Party Policy which is strictly enforced.